They'll flip over a cup as tough as they are! Made of ultra durable material, safe for drops & throws! It's a fact. Kids can be hard on their stuff -- they play hard, throw hard, and if you're lucky, cuddle hard too. When it comes to cups, durability is key, especially if your toddler is keen on throwing things across the room. 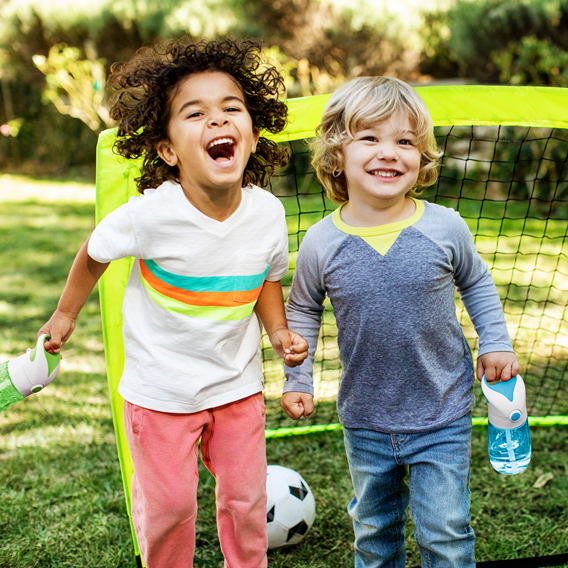 The Flip & Go™ toddler straw cup is made of extra tough material built to withstand pretty much anything your child can throw its way. It has an extra soft silicone straw and flips open with the touch of a button. It also has minimal parts for quick and easy cleaning (yay for mom!). You can count on this flip top cup to survive harsh throws and daily trips to the kitchen floor. Finally, a cup designed to keep up with nonstop tots!